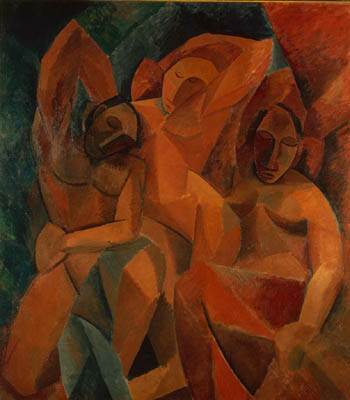 An early 20th-century school of painting and sculpture in which the subject matter is portrayed by geometric forms without realistic detail, stressing abstract form at the expense of other pictorial elements largely by use of intersecting often transparent cubes and cones. 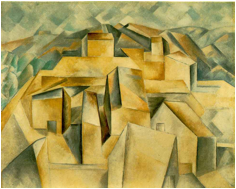 Cubism is conventionally understood to refer to the highly influential 20th century visual arts style created principally by the painters Pablo Picasso and Georges Braque in Paris between 1907 and 1914. 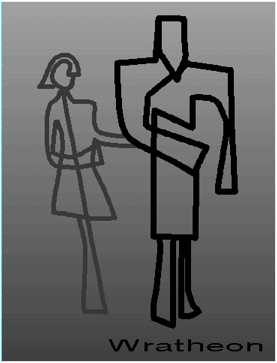 The Cubist style emphasized the flat, two-dimensional surface of the picture plane, rejecting the traditional techniques of perspective, foreshortening, modeling, and chiaroscuro and refuting time-honoured theories of art as the imitation of nature. Cubist painters were not bound to copying form, texture, colour, and space; instead, they presented a new reality in paintings that depicted radically fragmented objects, whose several sides were seen simultaneously.